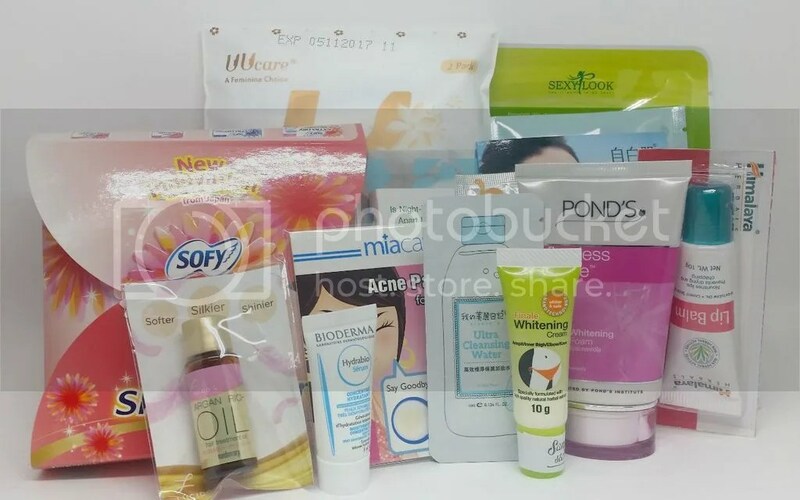 I got a small little box lately from the Sample Store – how it works is that you get to select up to 4 items “free”, just by paying S$5.99 for the postage; so it doesn’t matter if you selected 2 or 4 items, the postage is still S$5.99 per package. I don’t think that they should claim that the items are free though, because postage is definitely cheaper than S$5.99, and the service is actually run by Singapore Post… deduce yourself. But anyway, for the amount of products, I think S$5.99 is more than fair! There was a bonus SG50 Gift box for the month of August – because it was National Day, and it’s the 50th birthday this year; hence, the huge amount of products! I was quite excited because I didn’t know what would be included; but after receiving it I have to say that I’m quite upset about it. It’s not the size of the products, or the type of products; yes most them are drugstore products, but I do like getting samples of drugstore products. But rather… the expiry date of the products. Most of them were manufactured in 2013, or expiring by the end of this year. I just think, if you want to give some free gifts, then make sure that they are not expiring. Why give me something that I would have to throw it out for you? It just pisses me off when beauty boxes, or sampling stores, does this. In all, I think it’s still worth the S$5.99 I paid for; but I would have preferred them giving me less products, rather than a box full of items that are about to expire.